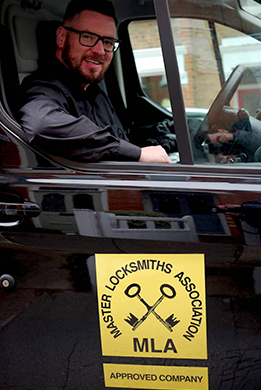 Our Islington Locksmiths in the N1 post code area of North London are approved by the Master Locksmiths Association, we provide a professional mobile locksmith service in Highbury Corner and Angel Islington. All of our locksmiths in Islington are CRB checked and all of our prices are fixed! So no matter how long the job takes you can be rest assured that you will not be charged by the hour (or by the minute as many companies are doing now!). Our Locksmith in Angel Islington service offers a full commercial as well as a domestic service from opening to fitting locks to onsite key cutting. Perhaps finding a quality Locksmith is not as hard to find as you might have thought! Gaining Entry – locked out of the house/home or home? Onsite Key Cutting-Need any extra keys? We will provide you with additional keys while you wait-THAT WORK! Window Security Grilles-Both fixed as well as retractable grilles. Angel Islington Locksmiths Available 24 hours a day! We also respond immediately to emergency call-outs 24 hours a day, 7 days a week, with no call-out charge, ensuring your complete peace of mind no matter what sticky situation you find yourself in. Whether you’ve locked yourself out of your property…..or even locked yourself in! Lost yours keys or have had the misfortune to arrive home to a burglary, don’t panic we’re only a phone call away. Don’t hesitate to call IKS Locksmiths Islington anytime, we offer a 24 hour service in your area. So how can you be sure that IKS Locksmiths Islington are the real deal? Well take a look at the Master Locksmith Association website www.locksmiths.co.uk Only 5% of Locksmiths are MLA approved and we are one of the few Locksmiths that are licenced by the MLA. We are not a call centre and you will speak to someone who has experience in the locksmith game and is likely to have experience in what you require. We take our work extremely seriously and encourage you to search some of our reviews online or on any of the social media platforms. As locksmiths London specialists IKS Locksmiths are the ones to trust. Installation of complex master key suites. At IKS Locksmiths we only charge for work completed. There is not a charge for visiting your property and assessing the work required and if we cannot do the job for whatever reason you will NOT be charged! So, call us now whether you require Islington locksmiths specialists for a lock change, lock fitting or require a lock to be opened. IKS locksmiths Islington can give you the full service you need. IKS Locksmiths will give you the best service at the most competitive price. 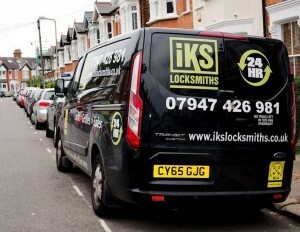 At IKS Locksmith Islington we believe our sucess is due to our focus on offering an efficient, reliable service. Our locksmiths are trustworthy and professional. You can reply on us to secure your property to a high standard at a good price. Our rates are highly competitive due to the fact we a mobile locksmiths with low overheads. We pride ourselves on high standards of workmanship and product quality and offering excellent value for money. Take a look at our online reviews! A free security survey will help you identify existing security issues. Our locksmith Islington professional can then advise you on the best security solutions to suit your individual needs. We would welcome the opportunity to discuss any of our Islington Locksmiths services. We deal with both domestic and business properties. We would be happy to book in a security survey (FREE of charge) for your property.